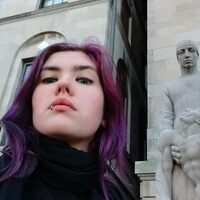 I'm the founder of Chicago horror history site Dead In Chicago and an Atlas Obscura Field Agent in Chicago. As a Field Agent, I specialize in finding fun and new ways to explore Chicago and the area, trying to bring the history of the state alive to those who live in it and those from out of town. When not exploring the world around me, I spend my time playing cello with various bands, training and teaching on the flying trapeze, traveling around the world, reading, antique hunting, and training my two cats to do tricks in hopes that one day they'll use their skills to get jobs and pay rent. With 8,000 pipes this giant instrument is the most versatile theatre pipe organ ever built.